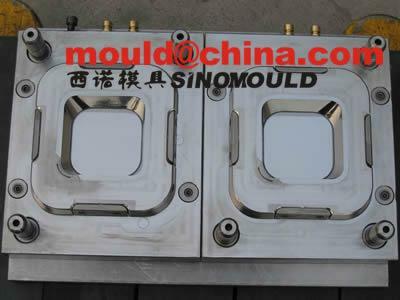 ﻿ thinwall high speed injection mould,high speed injection moulding,thinwall injection moulding,thinwall mould,thin wall moulding. 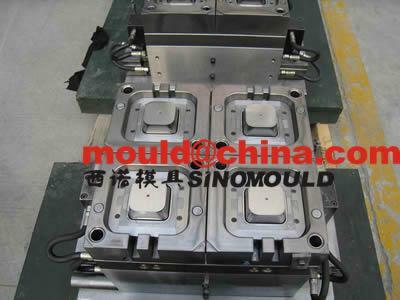 1. special design for interlock system of thinwall injection moulds. 2. injection system design and special cooling system. 3. high precision machining process. 4. correct selection to the steel for different components in mould. 5. special air venting system for the thinwall mould. 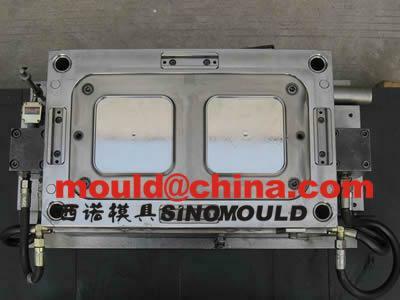 6. high speed injection system for the thinwall moulds. 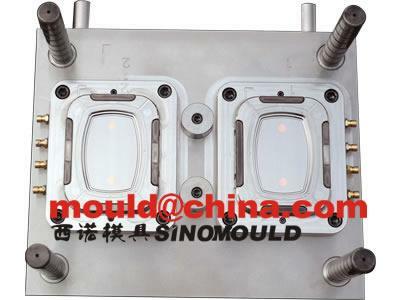 7. in mould labeling design on the mould. 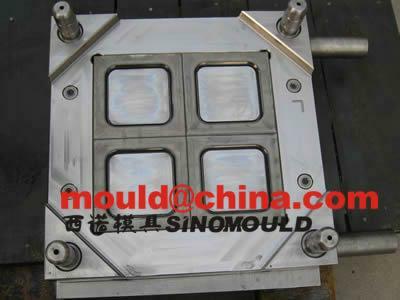 Sino Mould is very professional in thin wall food container moulds manufacturing, the container wall thickness can be 0.4mm to 0.55mm with 4 or 8 cavities and the container volume can be 300ml, the cycle time can approach 3.5 to 8 seconds based on if it needs to be in-mold labeling system or not. 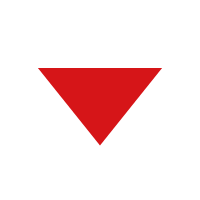 And of course it is also related to your injection molding machine. 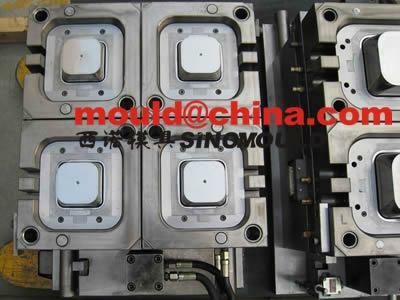 Thin wall high speed injection mould is one of the RND projects of Sino Mould, and combined with DAKUMAR machine, we can offer you the turnkey project for the thin wall high speed injection molding solutions with the in mold labeling system. The robot is side in labeling system with servo system made in Italy. 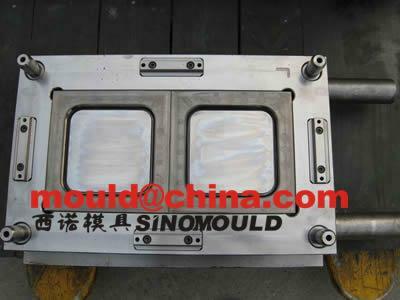 Please feel free to contact us when you need thin wall injection moulds or when you need high speed thin wall injection molding solutions.